​As we find ourselves settling into the bite of Winter we are already working towards a magical Bewitching Peddlers of Halloween 2018. 2017 provided us a gracious new beginning and we have been overwhelmed with positive feedback from artists and collectors alike. We welcomed several new artists to the Bewitching Peddlers community, all lovely additions to our wickedly merry coterie. 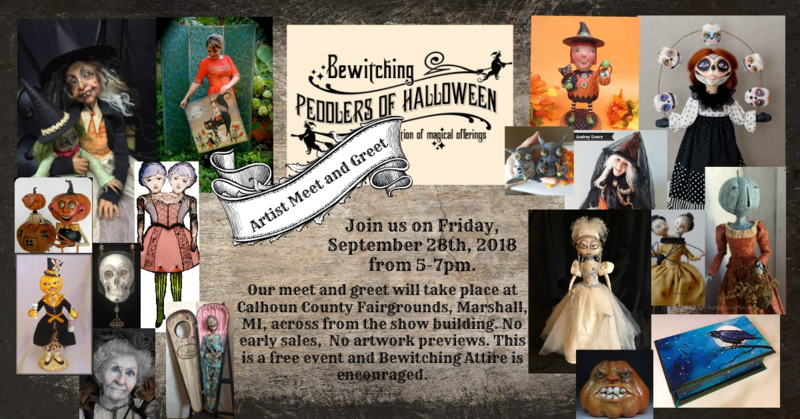 We do hope you will consider attending Bewitching Peddlers 2018. It already promises to be a spellbinding affair as we move to a new venue. We will call Historic Marshall Michigan our new home. Marshall is only 35-40 minutes west of Chelsea. Many of you may wonder why a move in venue? The short answer is the hotels in Chelsea no longer are able to accommodate us. So, Joe and I busied ourselves with the task of finding us a new home. Marshall, Michigan is a beautiful town filled with charm and enchantment. They have four hotels and welcome us with open arms. 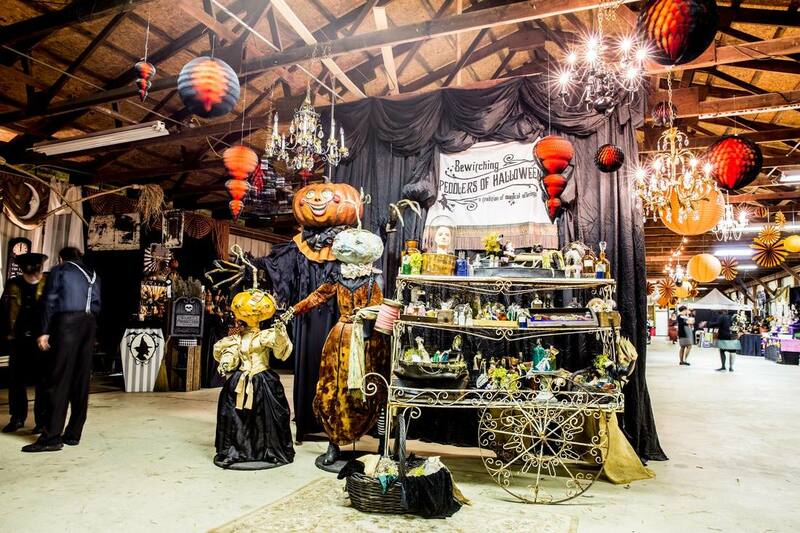 The town is coordinating a skeleton affair, where each shop will receive an articulated full-sized skeleton to decorate their shop front they offer horse drawn carriage rides and restaurant options. The fairgrounds are a little like Chelsea, but also offering a warmth that our collectors will love. The main building is large enough to accommodate us all together, with plenty of room for growth in the future if we so choose. We have a second building for our meet and greet and a spot on the grounds offering people a safe early line up location, if they desire.